We’re delighted to announce that we are one of the sponsors for the 2017 Stage Awards, to be held at the Theatre Royal, Drury Lane, London on January 27, 2017. 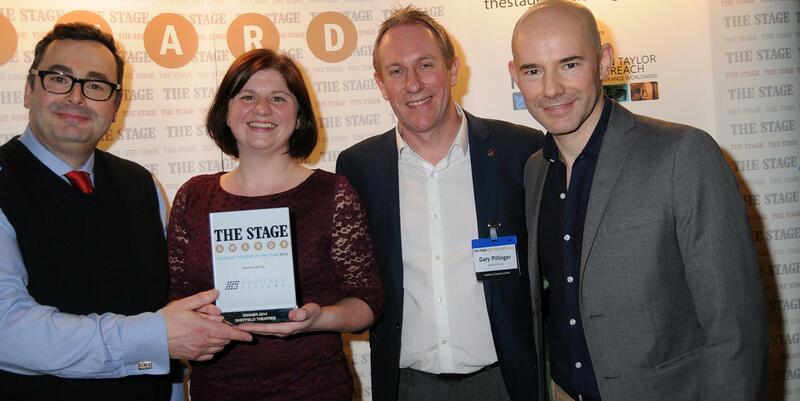 The Stage Awards celebrate the best of the UK’s theatres and theatremakers, and this year Audience Systems is appropriately sponsoring the Best Theatre Building Category. The nomination process is an open one; for more details on how to make a nomination please visit https://www.thestage.co.uk/awards/. The shortlists will be announced just before Christmas with the winners announced at the Awards event on 27th January. We’ll see you there! Photo shows Audience Systems’ Sales Director Gary Pillinger presenting the Best Regional Theatre award to Sheffield Theatres in 2017.